Whether you need help with plumbing, drains or sewers, or with your HVAC system – we diagnose and repair problems with wall and floor furnaces, forced air systems, rooftop units, heat pumps and much more -- the expert staff at Tustin Plumbing, Heating and Air Conditioning can identify the problem and your options for fixing it. 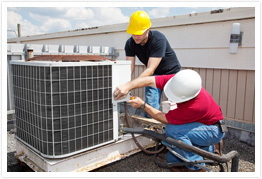 Available 24/7, they are skilled and equipped to get your system working again as quickly and affordably as possible. No matter how new or old your system may be, they'll be able to find what's wrong and have the tools and training to set it right. You won't find a more knowledgeable, efficient source of help in Orange County.